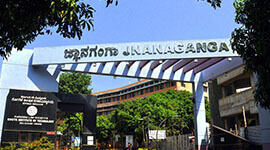 Rao Bahadur Y Mahabaleshwarappa Engineering College (RYMEC) is an autonomous institution of the University Grants Commission (UGC). 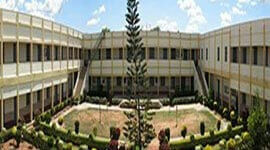 RYMEC was established in 1980, in 62 acres of beautiful campus in Bellary. All programmes offered by the college are approved by All India Council for Technical Education (AICTE), an apex body of the Government of India. 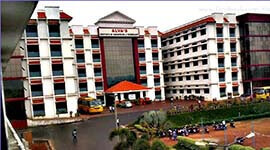 The college is affiliated to Visvesvaraya Technological University (VTU), Karnataka. Forty five percent of the seats are filled by KEA, thirty percent by COMED-K and the rest by the management for both UG and PG. Admissions through KEA and COMED-K are as per the rules framed by the respective authorities. Financially weaker students are supported with scholarships as per state and central government norms. Management of the college has planned the infrastructure requirements as per the statutory body norms. All physical facilities like class rooms, seminar halls, laboratories, tutorial facilities, R and D centres are satisfying the curricular and co-curricular requirements. All the labs were established with grants from VTU-RPS and AICTE has provided the researchers exposure to advanced technology and urge to carryout interdisciplinary research. Partnering with leading MNC's and research agencies through MoU's, R and D centre works on niche areas of research such as computer vision, knowledge mining, smart systems, renewable energy, image processing and data analytics. The college is having a computing centre with sufficient number of systems with LAN and 20 MBPS Wi-Fi facilities, with licensed software as per requirements. 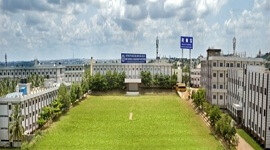 The college campus is green with well maintained lawns, buildings etc. The placement cell is well equipped with staff and infrastructure to ensure smooth placement process. RYMEC has grievance redressal, sexual harassment prevention, anti-ragging cells to address the corresponding issues. The alumni association is registered and provides a platform for aluminous to interact with the college. The college takes up the measures to monitor the slow learners and drop out students. It also monitors the career growth of the students. The students are encouraged to take part in several responsible administrative positions which not only improves their leadership qualities but also helps them to achieve the academic excellence. Young and motivated Faculty members mentored by experienced professors. ICT facilities in most of the class rooms. 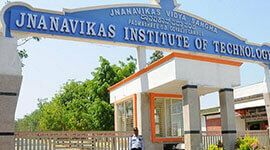 Pre-placement training will be given to the students every year. Placement of students through on-campus and off-campus interviews. Career counselling, mock interviews, and also guiding students for higher studies. Training students for their aptitude development, communication development and overall personality development. Placement assistance for passed out students. Motivating students to face global competitive world with confidence to achieve their goals. Coordinate with departments to integrate career planning/live project work/summer and winter training/industrial tour etc. 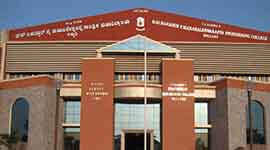 Many graduates achieved VTU top ranks, gold medals. Received state level RUSI AWARD from Rotary, Bangalore Udyog. Many state and regional level awards for project works. The college has both an open auditorium with a seating capacity of 3000 and indoor auditorium with seating capacity of 600 with audio and video facilities. 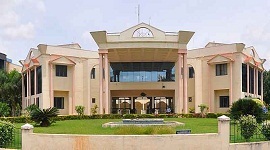 All the college events are regularly conducted in this auditorium. Continuous up gradation of technology and the infrastructure is one of the quality policies of the institution. High Speed 20MBPS Internet facility with Wi-Fi connectivity is available in the campus. Very huge library with 150+ seating capacity. Library is equipped with OPAC, KNIMBUS (e-library), KNIMUS (tools to search research articles in multiple databases). 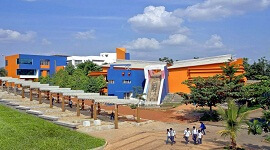 Computer-student ratio 1:4 (FOR UG) 1:2 (FOR PG). 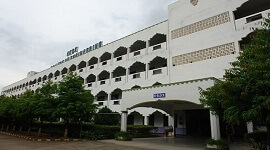 The institution acts as a facilitator for e-learning material (NPTEL video lectures) and the accession of online lectures of various experts from IITs, NITs and reputed institutes through Edusat etc. VTU, Belagavi has granted permission for approved research centers for carrying out R&D activities under VTU, Belagavi. RYMEC is carrying out R&D activities in the various disciplines. Very good academic student results including university Ranks/Toppers. The faculties use PowerPoint presentations to explain process or mechanisms or concepts like design, analysis, and manufacturing, and many subjects and also hands-on sessions in the laboratory. Students of UG and PG achieved VTU gold medals and many university ranks. Central Government scholarships for SC/ST students (from Karnataka State). MoU's with various industries and research organizations have been signed to carry out research activities.